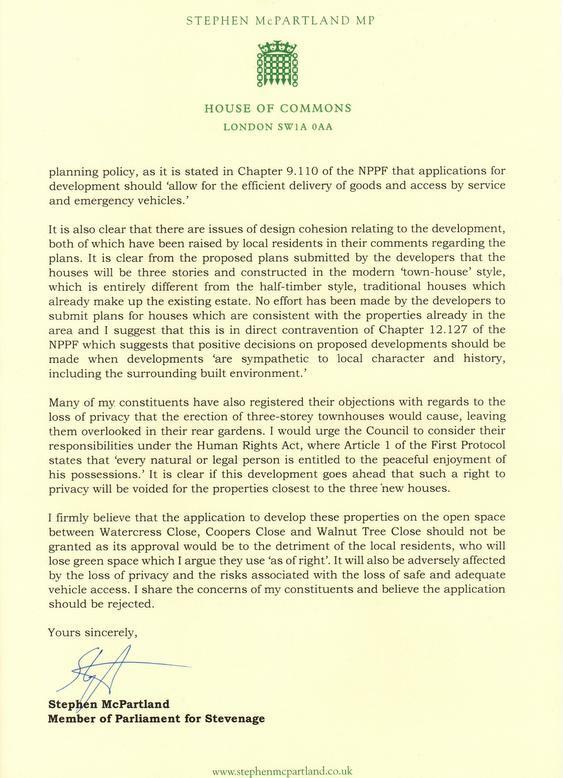 Stevenage MP Stephen McPartland highlighted problems many leaseholders face with ground rents, when trying to sell their properties during a debate he led in Parliament. However, one company has already come forward to help find solutions that are fairer to tenants. Stephen McPartland MP said, "Following the debate I led in Parliament about the problems doubling of ground rents is causing with leaseholders in Stevenage, I am pleased Adriatic Land 5 Ltd has come to the table to find solutions that are fairer to tenants. "To start, the leaseholders in Six Hills House, which I highlighted as an example of ground rents doubling periodically, will instead have ground rents with increases limited to RPI. Most importantly this means they do not have to pay any large legal fees to vary the lease and reduce the concerns raised by mortgage companies. It is a fantastic step towards a fairer deal for leaseholders." The debate is about the impact of companies, such as Adriatic Land 5 Ltd, holding freeholds and charging ground rents. Often these rents double every ten to fifteen years and have other conditions. This can prevent affected leaseholders in Stevenage from re-mortgaging or selling their properties. 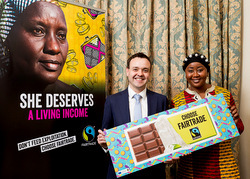 Stevenage MP Stephen McPartland met farmers from the Ivory Coast, Rwanda and the Dominican Republic to hear more about how the Fairtrade Foundation's campaigns help them out of poverty. A new report from the Fairtrade Foundation, who are leading the She Deserves a Living Income campaign, reveals women cocoa farmers often carry the greatest burden for the least reward. It calls on the government and businesses to ensure farmers earn living incomes by 2030 in line with the UN’s Global Goals to end poverty. I was pleased to meet fantastic apprentices working in Stevenage, as part of National Apprenticeship Week. Stephen McPartland, Member of Parliament for Stevenage is backing Neighbourhood Watch in a bid to get more local residents signed up to the scheme. He joined Assistant Chief Constable Bill Jephson, Chief Superintent Matt Nicholls and Safer Neighbourhood Sergeant Martin May for a walk about the town, including a visit to the Oval to chat to local residents and business owners. 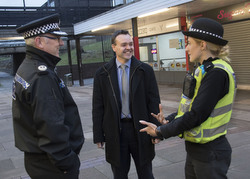 Stephen McPartland MP said, “The Neighbourhood Watch scheme is an excellent way for local officers to keep in touch with their communities and vice versa. We have had some excellent results, which have come out of people receiving an email about a crime or incident and then responding with information which has significantly helped an inquiry. 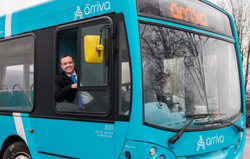 Local Member of Parliament, Stephen McPartland, was pleased to launch contactless payments on Arriva buses for the Stevenage area. Gavin Hunter, area managing director for Arriva, added, “The new technology will create a faster, easier and more convenient way to pay for our customers, which in turn will help to speed up boarding time and improve the customer experience as the UK moves even closer towards being a cashless society. To enable contactless payments on board buses, Arriva has replaced the old ticket machines with Ticketer ETMs designed to give passengers a wide range of payment options. Contactless is available on a range of devices, including smartphones, tablets, and wearable technology, or simply using a credit or debit card, provided payments are under £30. 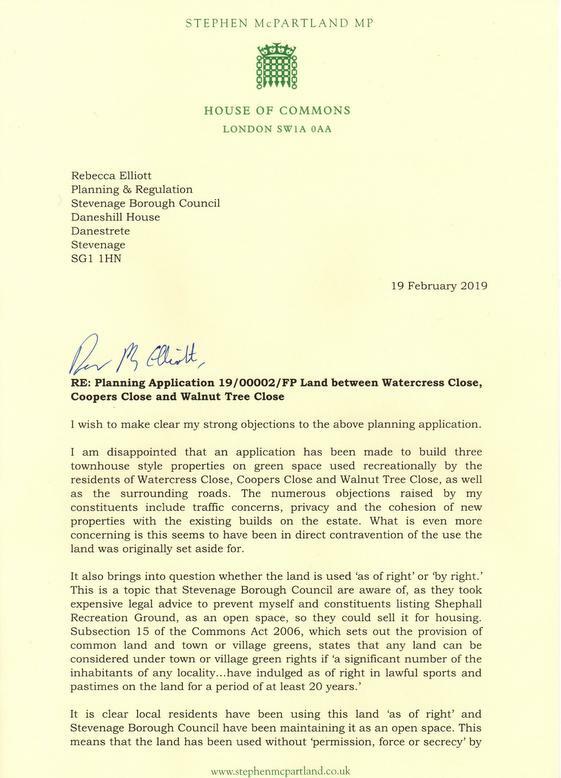 Read my submission to Stevenage Borough Council, supporting residents objecting to development of common land at Watercress Close. 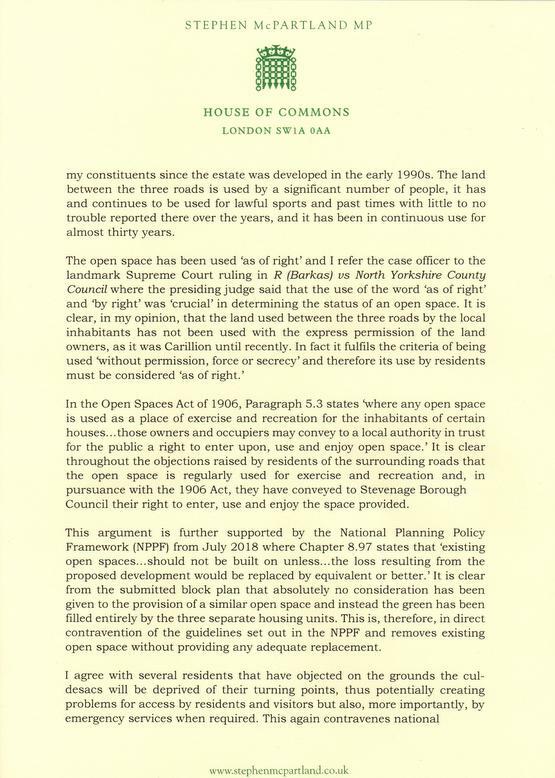 Part of my campaign to protect Stevenage’s open spaces.